Among the greatest satisfactions of small town life is the savoring of simple pleasures. Sure, sometimes you want to travel to destinations that will set your pulse pounding. But often what you really need instead is to put yourself into a lower gear. Over the past twenty years, I’ve continually found that elusive, soothing, gentle pace in the small town of Geneva, Illinois. There are no world-class museums in Geneva. You’ll find no mention of the town in 100 Places to Go Before You Die. Frankly, it’s hard to imagine it making the cut for anyone’s bucket list. 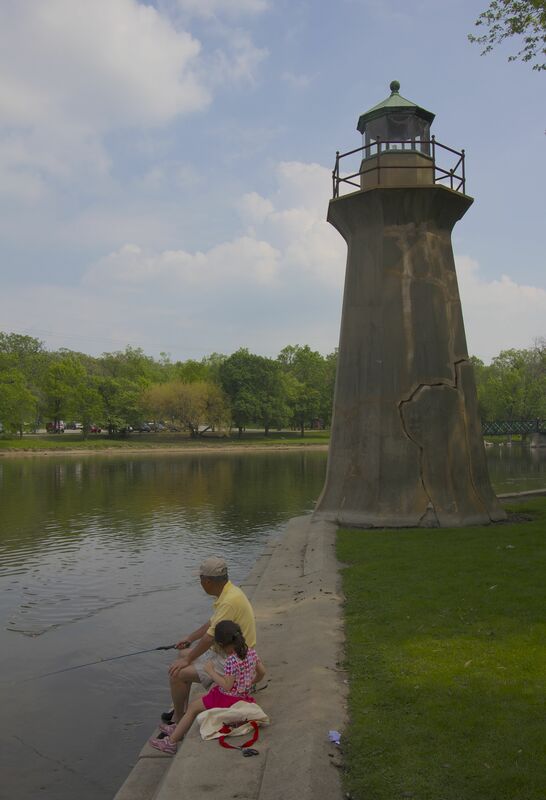 But if you’ll looking for authentic charm, fine restaurants, historic parks, delightful boutique shops, vintage architecture and an easy, strolling ambiance, all of that can be found just 2.5 short hours southwest of Milwaukee on the banks of the Fox River. Stay at The Herrington Inn & Spa. The Herrington occupies an old building originally built in 1874, former home of the Rock Springs Creamery. By 1982, the building had been vacant for years, but developer Kent Shodeen proposed a plan to convert the riverfront structure into a luxury hotel. Almost ten years later, the Herrington opened its doors, and has been awarded the AAA Four Diamond Award every year since. In 2001, a five million dollar remodel added 21 more rooms. Just two years after that, the Inn opened their spa. 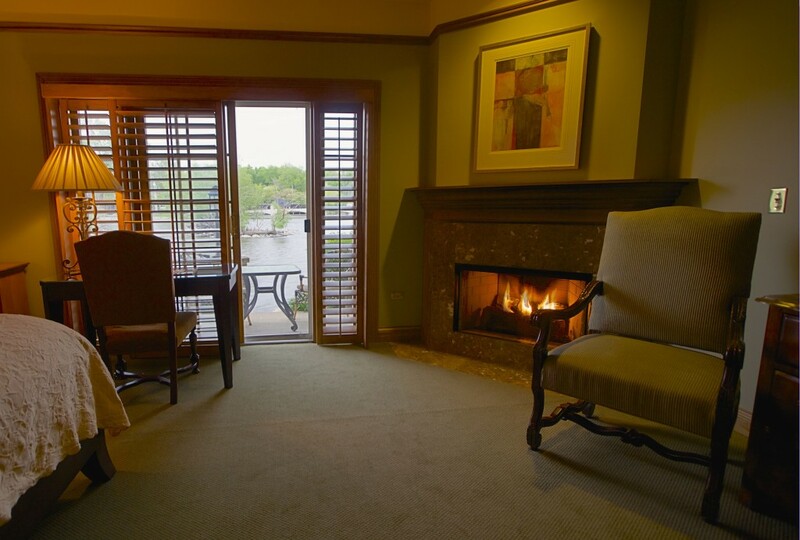 Now more than ever, The Herrington Inn & Spa is one of the Chicago area’s finest boutique inns, and the ideal place to stay when visiting Geneva. 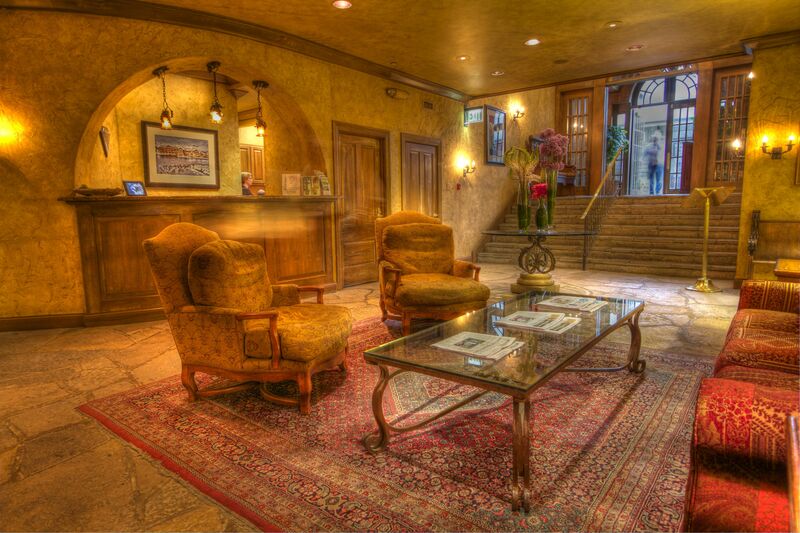 The lobby is inviting and communicates that sense of rustic opulence that is representative of the Inn. Our room was spacious and luxurious, with a gas fireplace, comfortable bed and a huge, marble-clad spa bathroom including a tub with room for two. The rooms are vacations in and of themselves, and we would’ve been quite content to simply while away the weekend sinking into the Herrington’s pampered comforts if the town of Geneva didn’t tempt us away. The Herrington is right on the Fox River. Now, by that, I do not mean that access to the river is achieved by, say, exiting your hotel and then walking forty feet or so down an embankment or somesuch. I mean if you’re a sleepwalker, you’d better make sure you wear your galoshes to bed. I mean if you’re a fisherman, you could conceivably cast a line into the Fox River right through your room’s sliding glass patio doors. And when the weather is fair, you can leave those patio doors ajar, and drift off to sleep to the sounds of calling birds and the soft rush of the river racing through your dreams. So, yeah, it’s close to the river, is what I’m trying to say. I think I’ve made that point very well. Let’s move on, shall we? The Atwater Restaurant is the Herrington’s culinary heart, and a must for any visitor to the Inn. While the menu mostly sticks to traditional crowd-pleasers like steaks, chops, and fish, the preparations are more inventive, and the cuts themselves are outstanding. I had a delectable pan-seared Strauss veal tenderloin with marrow, wild mushroom risotto and a bourbon and green peppercorn demi glace. My wife raved over the sautéed Naukati Bay halibut steak, encrusted with morels and mussel fennel fumet. Don’t miss it. Browsing the many boutiques up and down Third Street is Geneva’s main attraction. While State Street is ostensibly the principal thoroughfare, and has numerous little shops and stores that are worth a visit, Third Street is really where the show is. The broad, cobbled street is lined with mom-and-pop businesses, many of which occupy grand old Victorian residences. The vintage houses on the west side of the street also sit on large lots, with big grassy front yards and patios, which helps contribute to Third Street’s park-like atmosphere. Between the two streets you’ll find plenty to see and do and a great variety of fun places to eat and drink. And the area is continually animated by a succession of festivals and seasonal celebrations, so you will always find something new to enjoy here. On State Street near the center of downtown is Stockholm’s Brewpub, a microbrewery and restaurant that boasts some interesting and approachable styles of beers, ales, stouts and lagers, as well as some seasonal specialties that lean more to the quirky side. 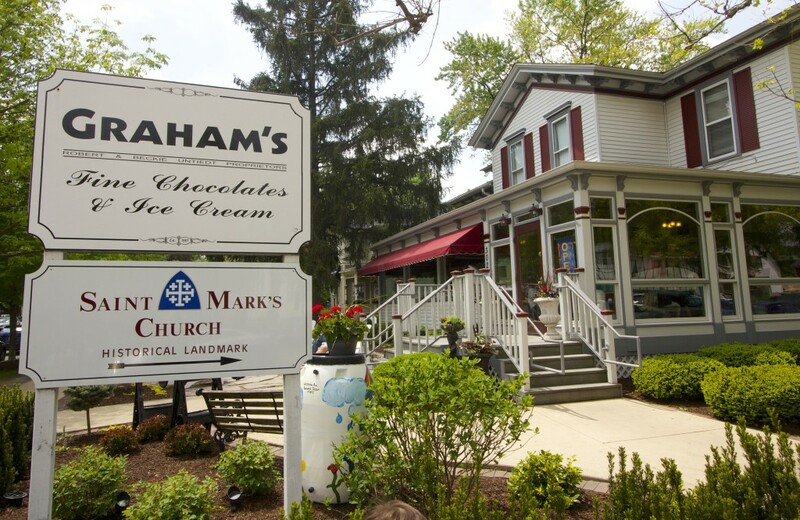 Graham’s Fine Chocolates & Ice Cream shop is located in one of those stately Victorian homes on Third Street, and the company is known in states beyond Illinois for its creamy artisanal ice creams and homemade confections, including italian ices and some assorted candies. Two doors down you can wash down your treats at Graham’s 318 Coffeehouse with a selection of teas, coffees and espressos. One of the oldest continually operating shops on Third Street is The Little Traveler, first opened here in 1922 in an Italianate Victorian mansion and still going strong. Originally catering to the carriage trade, and specializing in imports from England and the owner’s connections in Imperial China, The Little Traveler gradually expanded to include 36 rooms of apparel, home accessories, wine, coffee & tea, and The Atrium Café, serving tea sandwiches, scones and desserts. We love Niche Restaurant on Third Street. Chef Serena Purdue melds traditional French cooking with New World experimentation and brings it to bear on farm-fresh local ingredients. The restaurant sources many of its ingredients from its own organic farm in Elburn, Illinois. You can also find more than 200 varieties of whiskies here, a surprising all-American wine list, and delicious craft cocktails. 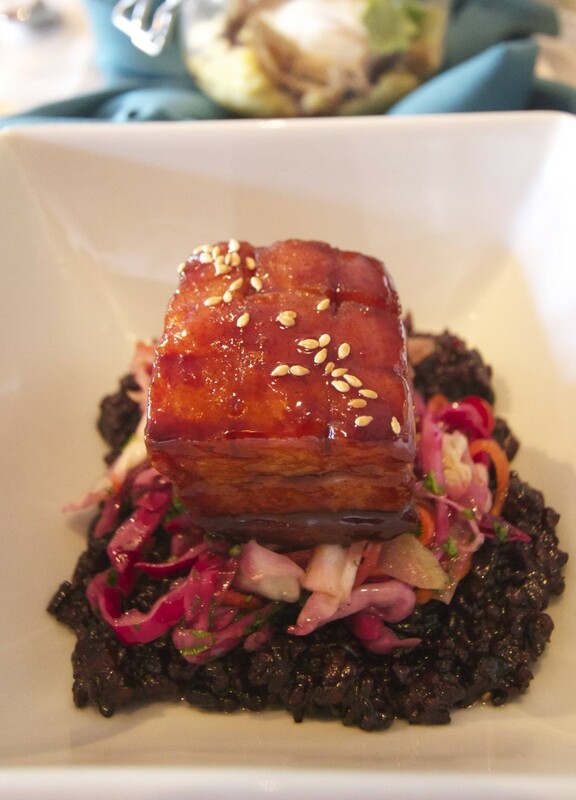 While the mains are compelling, we like to take a tapas-style approach to dining here and concentrate on the creative appetizers like the lacquered pork belly with forbidden rice, marinated cabbage, Madeira and Mirin-braised belly and sesame seeds. Or the crispy veal sweetbreads, or the “Smoking Egg”–a poached egg served in a mason jar with polenta, smoked beech and maitake mushrooms and drizzled with aged balsamic syrup. Accept no substitutes. 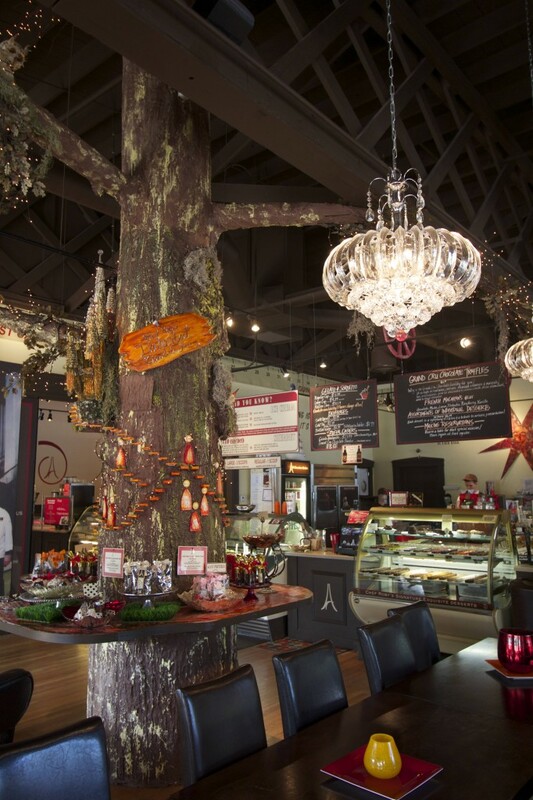 After dinner, walk down to the All Chocolate Kitchen. You will be surprised to learn that Geneva is home to one of the world’s most celebrated pastry artists, Chef Alain Roby. Roby studied culinary arts in Paris under famed pastry chef Lenotre, is a certified Master Chef of Pastry and Sugar Artistry, and has also won 20 culinary awards including The Grand Prize Gold Medal of Paris offered by the French First Minister Medaille Des nautes. Roby’s résumé also includes stints as private pastry chef to the Shah of Iran, as well as performing that function for the Admiral of The Joan of Arc, flagship for the French Navy. He holds three Guinness world records. He’s been on Martha Stewart. And his chocolate shop–a playful yet polished Euro-design space with just the right amount of Willy Wonka influences–is right here in Geneva. Try his Grand Cru chocolate truffles, or his fabulous French crepes (weekends only! ), or the Kentucky Derby pie with vanilla gelato. Nearby St. Charles is a town as worthy of visiting as Geneva, and the region has many sites to attract the visitor. If you love antiques, then make sure you time your visit to coincide with the one weekend a month when the Kane Country Flea Market is running. Now in its 46th year, the fair has been featured in Condé Nast Traveler, and is one of the Midwest’s premiere antique markets. The Flea Market is great fun, and packed with artifacts of every description. The fair runs from the beginning of July to the first of December and admission is five dollars. 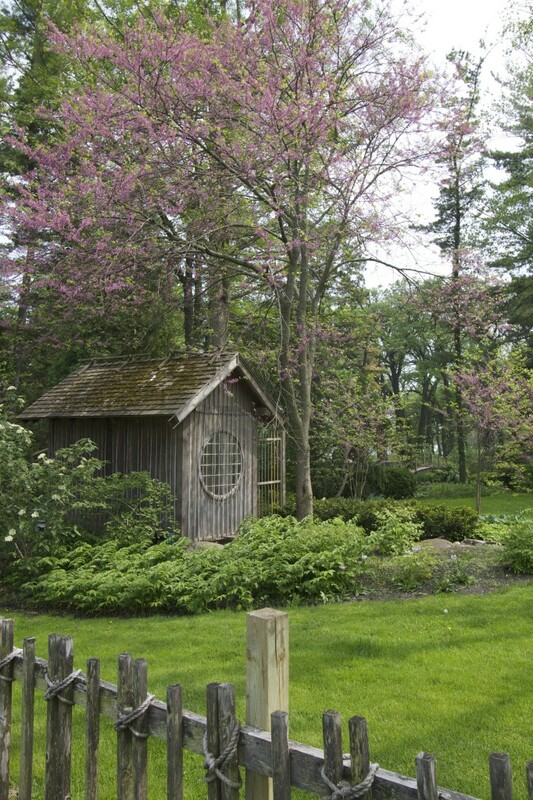 After exploring the shops along State and Third Street, hop in the car and take a short drive to The Fabyan Forest Preserve & Villa. This sprawling 235-acre park was once the private playground of George and Nelle Fabyan, a fabulously wealthy couple who moved to the area around 1900. The Fabyans were a fascinating couple. George eventually founded Riverbank Laboratories, a privately owned research facility that was officially recognized by the NSA as the birthplace of cryptology. 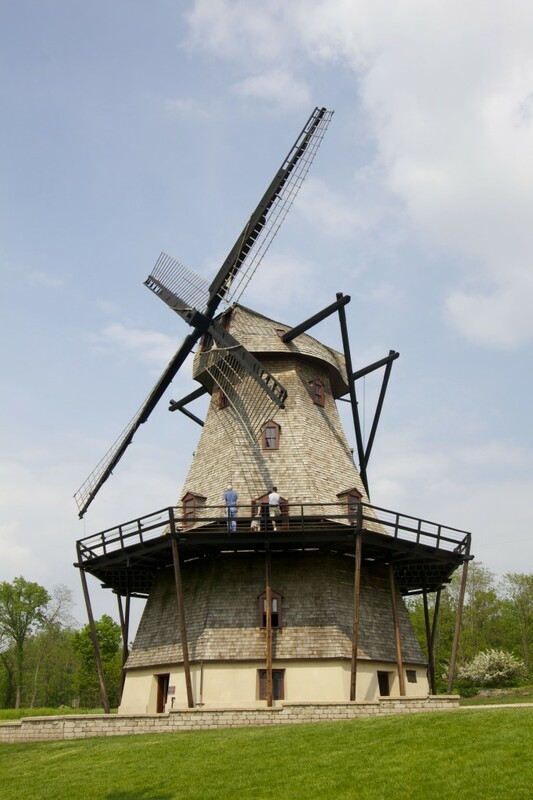 The Fabyan’s version of San Simeon included a Roman-style swimming pool, fountains, gardens, a working lighthouse, and a huge, fully functional Dutch windmill, as George was reportedly convinced it was the only acceptable method to grind the wheat for bread to the satisfaction of his pet bears. The grounds also include the serene Japanese Gardens, now the site of many wedding photos and private parties, many pieces of scattered statuary, and miles of meandering paths to blissfully waste time. The Villa itself is part of the property, updated by no less than Frank Lloyd Wright himself, and preserved by Preservation Partners of the Fox Valley with many of it’s original furnishings, including examples of Asian art, natural history specimens (George was an expert in animal husbandry), stuffed animals, and other souvenirs collected by the world-traveling couple. But the Fabyan’s menagerie of exotic beasts wasn’t confined to taxidermied specimens; The property also once included a private zoo, and still remaining is a large iron and concrete enclosure that once held the aforementioned live bears. Close by the house is a smaller cage that contained a monkey that was reportedly trained to ring a bell atop its prison at the sign of approaching guests, an almost cartoonishly excessive example of what happens when people have more money than they know what to do with. One can easily imagine George musing to his wife as they hatched their plans. You can tour the Villa, and you should. If you’re a architecture buff, you’ll find plenty to intrigue you. And the docents are quite enthusiastic and well-versed in the history of the house. Allow 40 minutes for the house tour, and another 20 minutes for the Japanese Gardens. But make wandering in the forest environs your first priority. It is a timeless preserve that draws young and old, bicyclists and fishermen, the garden set and the weekend Thoreaus. The forest is beautiful in all seasons of the year, and we have made it a point to spend time in it every time we visit. There is a lot more to see in Geneva. Sit on the steps of the Kane County Courthouse and people watch. 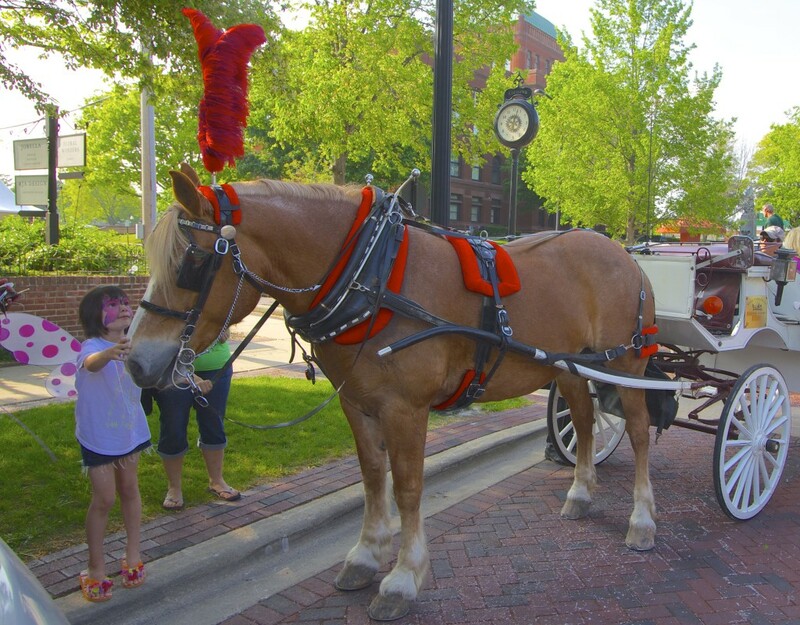 Enjoy a carriage ride–carriage rides are free on some weekends in December. 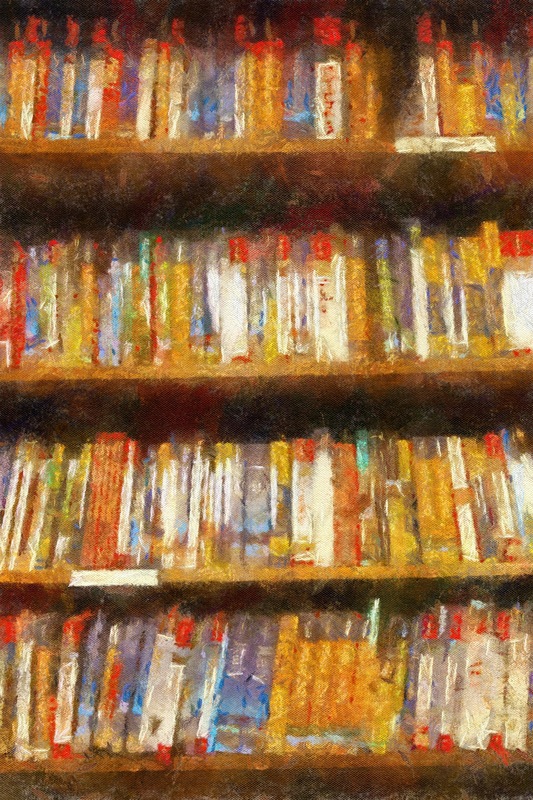 Take the time to wander and poke your head into all of the little stores and have a browse. Maybe you’ll find a gift or a souvenir, and maybe not. Even if you come away empty-handed, you will not have wasted your time. For more images of Geneva, Illinois, click here.